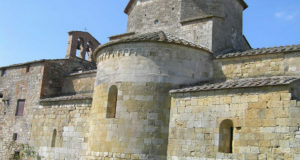 Abbadia a Isola is a small interesting medieval village, it’s lies just 4 km from Monteriggioni along the road to Colle Val d’Elsa. 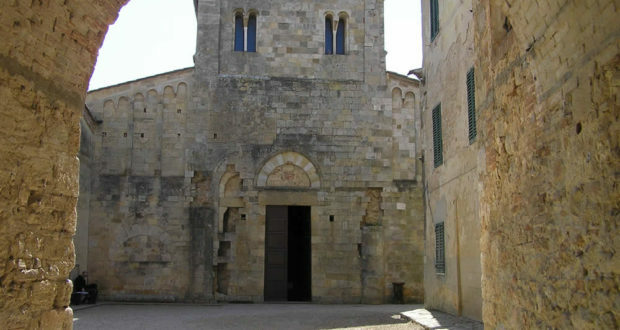 The small village, built around the Cistercian Abbey of San Salvatore, which was founded here in the tenth century, was in medieval times, a stopping place for pilgrims along the Via Francigena. 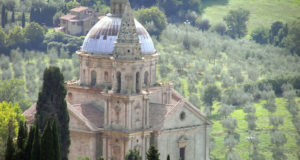 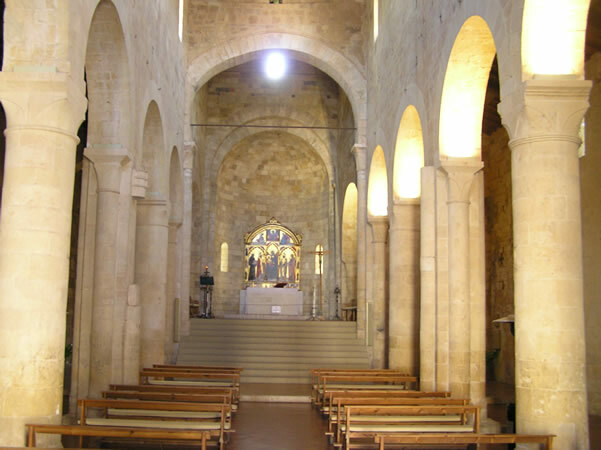 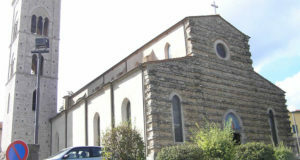 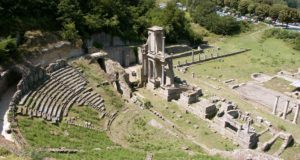 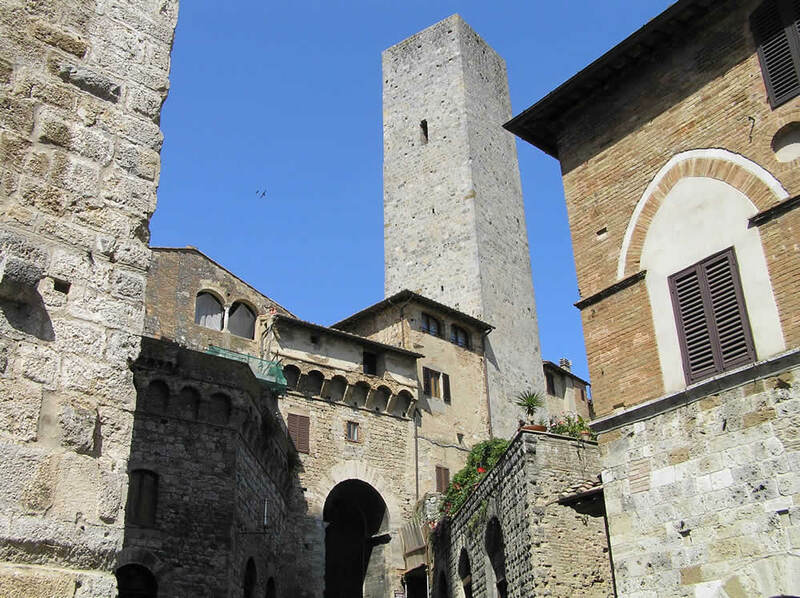 Here was founded in the early eleventh century, the Benedictine Abbey of San Salvatore. 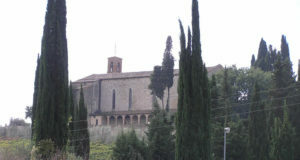 A few years after its founding, the Abbey gained imperial privileges. 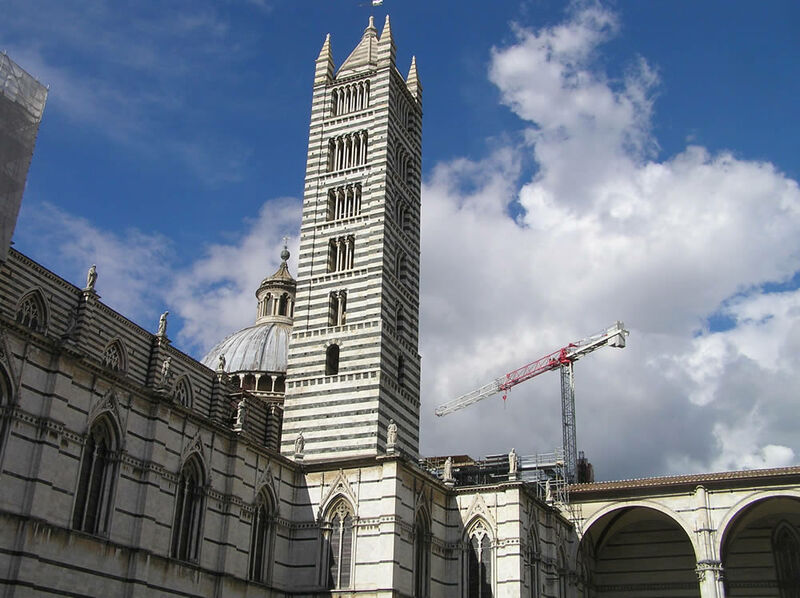 In the twelfth century the Abbey came under the protection of the city of Siena that fortified it with defensive works and with a moat. 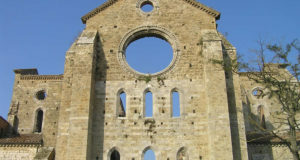 Subsequently, because of the surrounding marshland the Abbey took its present name of Abbadia a Isola, in its heyday, ranging from the twelfth to the fourteenth century, controlled a vast area. 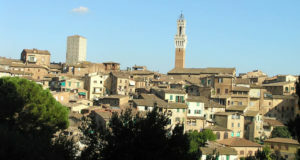 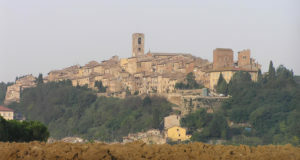 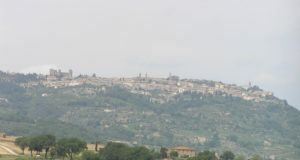 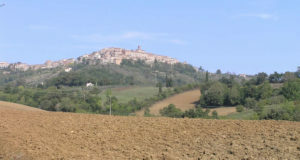 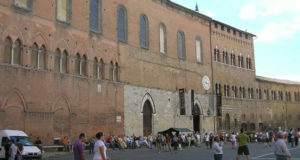 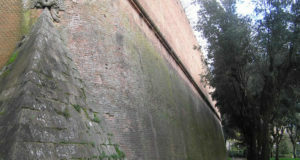 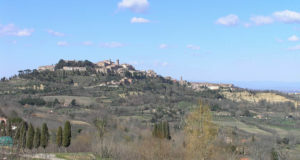 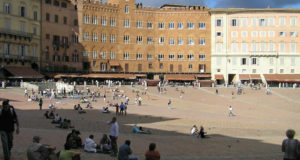 The village with the abbey was again fortified in the fourteenth century by the Republic of Siena to better defend it from the Florentines. 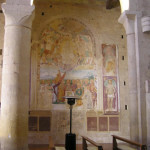 The place still retains its medieval charm with the eleventh century church in the Lombard style that keeps inside an interesting fresco of the early sixteenth century by Vincenzo Tamagni and a marble baptismal font of the fifteenth century. 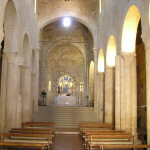 The interior of the church has three naves. 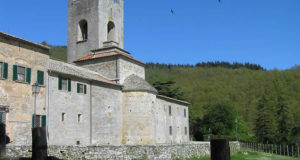 Of the ancient bell tower are only the remains of the base that are to the right of the sacristy. 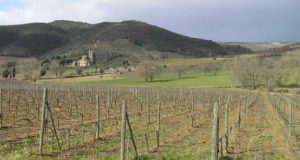 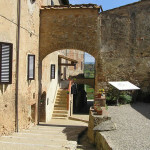 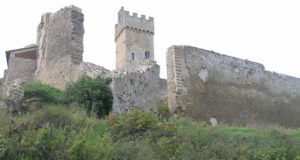 From Abbadia a Isola there are beautiful views of the nearby walled medieval village of Monteriggioni.